The NYPD said it will outfit its fleet of mobile command centers with bullet resistant panels and window glass. Tracie Strahan reports. 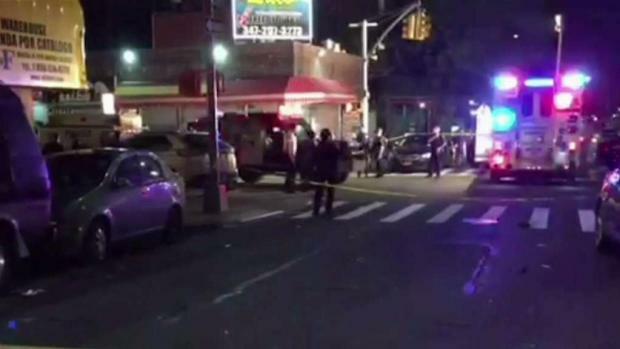 Police are calling the shooting on the officer an "unprovoked attack"
The NYPD will retrofit more vehicles with bullet-resistant glass and panels, Police Commissioner James O'Neill said Thursday, a day after a 12-year department veteran was gunned down while sitting in a mobile command unit in the Bronx. O'Neill made the comment in a question-and-answer session following the NYPD swearing-in ceremony. He said the original plan was to outfit all patrol vehicles with the ballistic glass, not command vehicles or buses, but that has changed. About 2,200 patrol cars have already been retrofitted with ballistic protection. O'Neill said the department is hoping to get more done in the next week and a half. Officer Miosotis Familia, a 48-year-old mother of three, was sitting in a mobile command post, writing in her notebook, early Wednesday when gunman Alexander Bonds strode up to the vehicle and fired through the passenger window. Familia, who had been shot in the head, was taken to a hospital in critical condition and died hours later. She never saw Bonds coming. 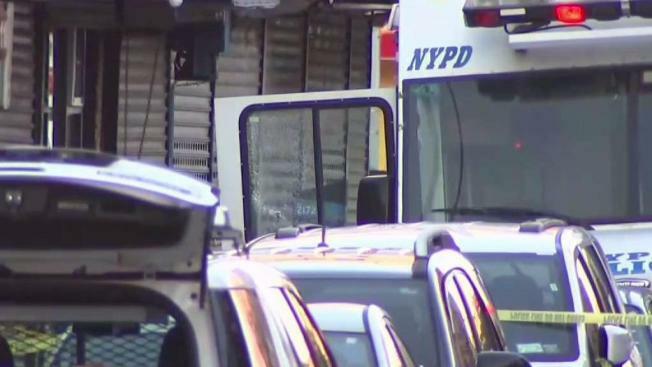 In light of the slain NYPD police officer, there is talk of making NYPD's mobile command centers bullet-resistant. Chris Glorioso reports. Both O'Neill and Gov. Cuomo, among others, have called her death an unprovoked "assassination" and said she was shot simply for being a cop. Other officers shot and killed Bonds after he pointed a gun at them while fleeing the scene. The officer's death sparked new questions about whether all police vehicles, including the RV-type mobile command units often spotted in neighborhoods experiencing spikes in crime activity, should have bullet-resistant glass. InvestigativeCould Bullet-Resistant Glass Have Stopped Slaying of NY Cop? 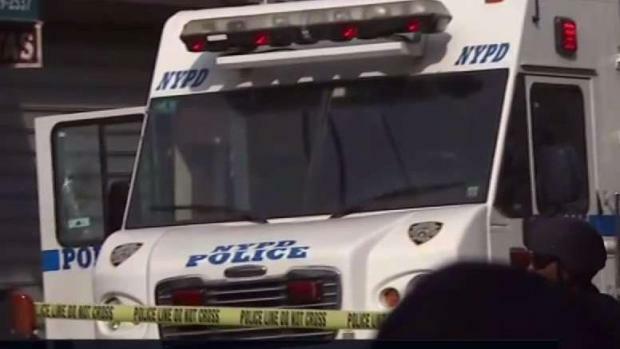 Earlier this year, Mayor de Blasio announced $10 million to retrofit hundreds of patrol cars with bullet-resistant window inserts, but asked about the program on Wednesday, an NYPD spokesman told the I-Team mobile command units were not scheduled for the upgrade. James Monahan, owner of Madison Avenue Armor, a company that outfits vehicles with bullet-resistant panels, told the I-Team one of the downsides of installing ballistic panels is that they are often heavy — reducing fuel efficiency and putting stress on a vehicle’s suspension. Since NYPD mobile command centers spend lots of time in a stationary position, that stress is limited. “There’s not a whole lot of downside to armoring it if it is not going to be moving,” Monahan said. Police say Alexander Bonds shot and killed NYPD Officer Miosotis Familia using a gun that was stolen in West Virginia. Marc Santia reports. An added benefit of modern bullet-resistant windows, according to Monahan, is that most of the additional armor is hidden on the inside of the vehicle. The move for enhanced security for more vehicles comes hours after hundreds of friends, family members and colleagues mourned Familia outside the 46th Precinct stationhouse where she spent her entire NYPD career.